The agriculture and food supply chain in Mexico is similar to chains implemented in other countries, but it specifically works towards improving infrastructure and the necessary elements and agents to obtain the final product and placement with the end user, as well as aiming to develop a low-cost, highly specialised workforce. In line with this, the federal government has set forth an array of goals to make this chain sustainable and to guarantee food security, among other objectives. These goals are contained in Mexico’s national agricultural policy, which is detailed in the Sectoral Programme for Agricultural, Livestock, Fishing and Food Development for the years 2013-2018. This programme is administered by the Ministry of Agriculture, Livestock, Rural Development, Fisheries and Food (Ministry of Agriculture). Since the presidential election in July 2017, a new programme will be issued with the coming change of federal government in December 2018. The issuance of the new programme is expected to happen during the first six months of 2019. Due to the President Elect Andres Manuel Lopez Obrador’s ideological profile (a moderate leftist), major structural changes are not expected. Some related topics the president elect has pinpointed as part of his agricultural policy are: recovery of food sovereignty, a boost to domestic agricultural primary sector, and the setting up of warranty prices for some agricultural products in favour of producers. Specific mechanisms to achieve the foregoing have not been announced so far. The agricultural sector regulations are not protectionist in terms of investment, allow foreign investment (some specific requirements or caps may apply) and are uniformly applicable to all agricultural producers, regardless of their origin. Notwithstanding the foregoing, within this primary sector some specific and strict regulations are applicable when dealing with genetically modified organisms (GMOs), import and export, crop seeds, labelling and food safety, among other aspects. the Federal Commission for the Protection Against Sanitary Risk, which carries out sanitary surveillance related to services and products, including food. There are various non-profit organisations and associations composed of agricultural producers, commonly known as national or regional chambers or associations, in the Mexican agribusiness sector. These chambers or associations are created to promote and defend the producers’ interests over their specific products, such as meat, industrialised corn and wheat, and products related to fishing and aquaculture. agrarian or ejido land, (ie, land belonging to an ejido, a legal entity composed of a rural collective). Ownership of ejido land cannot be acquired unless a separation process is followed under the Agrarian Law (after this process, the ejido land becomes private property). The transfer of private agricultural land is not generally restricted and is regulated by civil law. tax laws (property transfer tax). laws or regulations related to public registries of property. Rules on easements, treatment of fallow lands and fences are generally contained in the civil codes. In general terms, non-agricultural use of farmland is permitted. However, some restrictions to non-agricultural uses may arise when dealing with specific situations. For example: in ejido matters, if an ejido members’ meeting has agreed that the ejido’s common use land shall be used only for agricultural purposes and other uses shall not be allowed; and in zoning matters, if regulations or programmes for urban territorial development (commonly issued in states and municipalities) set forth in zoning maps the agricultural use of lands in order to avoid farmland that has high potential being used for non-agricultural purposes. Risk assessments determine how loans are secured. An agricultural product can be a collateral security (see question 7). If the product is considered to be high-risk, financial entities can ask for a guarantee by way of securing agricultural lands, which has become common due to the volatility and specific circumstances of the agricultural sector. The most common security interest granted over agricultural land is the mortgage. A mortgage is created by the document that grants the mortgage interest. This document must be executed as a notarial deed and then registered in the relevant public registry of property. Administrative and notarial fees apply. In general, with respect to default of the payment of loans by farmers and producers, provisions are similar to those regulating financing or credit for other sectors. The agricultural sector’s particularities in this regard may be found in the type of collateral security lenders may additionally ask for to guarantee the payment. In line with this, there are national development banks and public instrumentalities (second-tier entities) that offer various loan options secured by raw materials and other hardware acquired for the production under the loan, as well as by the resulting products or materials. Additional guarantees may apply depending on the producer’s risk assessment. Likewise, there are mechanisms through which these second-tier entities grant a hedge (in the form of an additional guarantee) against any default by the producers when the latter receives a loan from other financial entities. creation or improvement of places with human settlements. construction of roads, bridges, train tracks, runways and other works for transport purposes. For any expropriation to be valid, there must be a public interest reason and compensation paid to the landowner. The amount of compensation is determined by the Institute for Management and Appraisal of National Property, authorised banks, commercial notary publics or valuation professionals. Compensation must be calculated using market value criteria. Once expropriated, the state must have a full right over the land, so that the former owner is fully deprived of all rights over it. There are state expropriation laws that are similar and may also apply. Constitutionally, as a general rule, only Mexican individuals or companies can acquire real estate in Mexico. However, foreigners (individuals or companies) can acquire real estate if they execute an agreement in which they renounce the possibility of invoking the protection of their government in relation to the acquired property. Further, foreigners (individuals or companies) cannot acquire direct title to real estate (regardless of its type) in the restricted zone (that is, a strip of land 100km (kilometres) wide along land borders or 50km wide along coastlines). There are certain legal structures to allow foreigners to own real estate in the restricted zone through a bank trust. Irrespective of the buyer’s nationality, there are constitutional restrictions when acquiring agricultural land to avoid a disproportionate accumulation of it. In this line, the Agrarian Law explicitly prohibits the disproportionate accumulation of land. Further, as to business organisations and regardless of the type of company, in relation to companies that own agricultural, cattle breeding and forestry land, foreign investment cannot exceed 49 per cent of the series of shares or membership interests which represent the value of the land. This is called the ‘T Series’. The Foreign Investment Law allows foreigners to make neutral investments in the T Series in excess of the 49 per cent limit. Subject to previous approval from the National Foreign Investment Commission, neutral investment can be made by a capital injection into shares or membership interests with no voting rights or limited economic rights. supporting small producers - aims to foster their productivity. Each of these programmes contains different subprogrammes or components and have different requirements for producers to access them. The amounts of monetary incentives may differ from one programme to another. There is also a network of national development banks and public instrumentalities (second-tier entities) that offer various publicly funded financing options under favourable conditions for companies involved in agricultural, fisheries and livestock production. Yes. There are a number of incentive programmes for foreign investment, ranging from those that offer fiscal incentives related to research and development activities in certain productive sectors to those allowing customs-free imports of equipment introduced in Mexico on a temporary basis or make it possible to obtain a drawback of import customs. These incentives may apply to agricultural activities or other agribusiness-related activities. The requirements and scope for these incentives differ from programme to programme. Eligibility should be assessed on a case-by-case basis. the Federal Law for Consumer Protection. In addition, there are a vast number of official Mexican standards with different scopes: sanitary process, mobilisation, slaughtering, quarantines, etc. Likewise, there are a number of unofficial voluntary Mexican standards that may be applied by the animal food industry. Note that as a member of the World Trade Organization, Mexico observes the Codex Alimentarius. The aforementioned regulations at the federal level provide a uniform regime for animal products, for which the compliance with such is the same, irrespective of the market for the meat, either for domestic consumption or for export. However, if the meat is meant for export, it must comply with further federal certifications regarding the quality of the production process. See question 20. Although not as strict as the regimes of the United States and European Union, the food safety regime in Mexico, mainly at the federal level, establishes a series of provisions that must be complied with in order to guarantee the product’s quality. However, it is well known that the weakness of Mexico’s regime is product traceability at levels other than federal, since states and municipalities systems may be deficient. the General Law on Sustainable Fisheries and Aquaculture. All the regulations related to food matters contain sanctions to enforce them. These sanctions may be administrative, civil or criminal. Specific penalties range from fines, seizure of instruments and suspension of permits (administrative sanctions) to imprisonment. Activities that may be subject to administrative fines include growing substances prohibited by the Federal Law on Animal Health or the alteration or contamination of food for human consumption, or knowingly allowing such alteration or contamination, as set forth in the General Health Law. Activities that may be subject to criminal penalties include the commercialisation, transportation, storage or release of GMOs that negatively affect the environment, as set forth in the Federal Criminal Code. Civil liabilities may also arise. Producers and suppliers may be liable for defective or contaminated food or food ingredients - under civil legislation for tort liability (noncontractual civil liability) or under the Federal Law of Consumer Protection for product liability (which is also considered non-contractual civil liability). Irrespective of the claimant filing an action under civil legislation or the Federal Law of Consumer Protection, he or she can claim payment of damages and lost profits if he or she has been physically or morally harmed by food or food ingredients that are proven to be defective or contaminated. the Law on Organic Products and its regulations. These laws establish certain powers in favour of authorities or government-approved entities (depending on the case) to certify seeds, GMO-free zones for organic products and production of organic products. Further requirements may apply if specific products are involved, such as GMOs, organic products and seeds. Penalties for non-compliance with labelling requirements are mainly of an administrative nature. Civil liability may also arise. The Federal Law on Animal Health and its regulations set forth the principal provisions on animal products. Compliance is monitored by the National Service for Agri-food Health, Safety and Quality. Complemented by official Mexican standards and other laws and regulations, mainly of a health and environmental nature, animal health provisions foresee specific norms for the transportation of animals and animal products within Mexico. See question 18. With regard to disease outbreak and management of animal diseases, see question 21. Under the Federal Law on Animal Health and its regulations, movement of animals and animal products is permitted. However, such movement may be subject to restrictions related to circulation, either in national territory or in a specific zone, implemented by the Ministry of Agriculture. These restrictions may result in, or be part of, a quarantine. In general terms, restrictions can be imposed on grounds of the possibility that the animal or animal product represents an imminent threat of plague and disease representing a zoosanitary risk in national territory. Restrictions at the state or municipal level may be applied by the relevant authority. Living animals, animal products (including animal source foods) and biological agents, including GMOs, among other animal-related goods, must comply with the import requirements set out in the Federal Law on Animal Health. This provides that if the following applies importation is prohibited: if the animal’s origin is a country, region or zone that has not been recognised as free of exotic diseases or plagues, and there is a related national campaign in Mexico; or if the emergence of an exotic animal disease, or the animal species itself, is a phytosanitary risk. Further, if the animal or animal product to be imported comes from a country without veterinary services recognised by the Ministry of Agriculture, its import shall be restricted. There are certain living animals or animal products for which import is further regulated by the Ministry of Agriculture due to zoo­sanitary requirements. A list of regulated goods, including animals and animal products, can be found online in Spanish at http://dof.gob.mx/nota_detalle.php?codigo=5266223&fecha=03/09/2012. NOM-051-ZOO-1995: ethical standards for the movement of animals. Moreover, when slaughterhouses are located in state and municipal jurisdictions, the relevant state and municipal regulations may be applicable. If an interested party requests it, the Ministry of Agriculture, or a government-approved certification entity, may certify a slaughterhouse as compliant with the related regulations. If the process is successful, the slaughterhouse is certified as a ‘federally inspected facility’, which provides a competitive advantage for certain purposes (ie, mobilisation and commercialisation). A number of regulations are applicable to pesticides, such as the animal and plant health laws, environmental laws, the General Health Law, and a significant number of official Mexican standards. The main requirement for the lawful commercialisation and use of a pesticide is its sanitary registration, granted by the Ministry of Health, through the Federal Commission for the Protection Against Sanitary Risk. custody-and-control quarantines for goods subject to temporary observation before their introduction to Mexico. In the agricultural sector, two types of company are typically used: cooperative organisations and rural production companies. The use of these types of company is generally driven by the possibility of obtaining governmental subsidies, incentives or tax benefits. They are generally composed of producers of the same type of products. Cooperative organisations and rural production companies’ formation and management are governed by different laws. The General Law of Cooperative Societies is the main governing statute for cooperative organisations. Rural production companies are regulated by the Agrarian Law. management positions can only be occupied by Mexican nationals. the management is not restricted on grounds of nationality, unless otherwise agreed in the by-laws. In some cases, some agricultural producers form social solidarity organisations under the Law of Social Solidarity Organisations to be able to run an agricultural business. However, since foreign investment and foreign members are not allowed in social solidarity organisations, as well as the significant administrative burden and approvals required, this type of organisation is not an option for foreign investment. See questions 9 and 22. Article 123 of the Mexican Constitution, the Federal Labour Law and the Social Security Law are the main regulations in Mexico that govern labour relationships between employers and employees, regardless of the sector in which they operate - with the exception of the public sector where labour relationships are governed by appropriate legislation. The agricultural sector is also included within the scope of the aforementioned regulations. As well as having the same labour and social security rights that the relevant legislation provides to other types of workers, farmworkers have further rights in place for their protection, since they are considered to be a vulnerable group exposed to a higher level of risk and their activity is deemed ‘special work’ (ie, different to other types of work because conditions can be easily affected). Regulations classify farmworkers as permanent, temporary or seasonal. Any temporary or seasonal farmworker who is hired by the same employer for a minimum of 27 continuous weeks shall be presumed to be permanent. Employers in the agricultural sector have special obligations to adhere to farmworkers’ rights. With respect to other types of workers in the agricultural sector (eg, management and operational positions), the rights they are entitled to are the same as those provided in the general labour regime established in the aforementioned legislation. As a visitor with a permit to undertake paid activities. This condition authorises the worker to work if it is the result of a previous job offer or invitation from any authority or institution for a maximum term of 180 days. This migratory condition is authorised by a visa for visitors with a permit to undertake paid activities. As a cross-border worker visitor. This authorises a worker who is a national of countries bordering Mexico (Guatemala and Belize) to stay for up to one year in specific states as determined by the Ministry of Internal Affairs (to date, Chiapas, Tabasco, Campeche and Quintana Roo). The worker must have a previous job offer, and he or she may enter and return to Mexico on an unlimited basis within one year. This migratory status is accredited by the appropriate authorisation card issued by the Ministry of Internal Affairs. the employer, either individual or company, must be registered as such in the National Immigration Institute. Cross-border worker visitors must be nationals of countries bordering Mexico. A job offer to said worker must contain the position, integrated or minimum wage amount, employment term and workplace, as well as information regarding the employer’s registration in the National Immigration Institute. The employer must submit a request for a visa allowing the foreign individual to work to the National Immigration Institute. As for cross-border worker visitors, the worker should request the appropriate authorisation card at the border’s checkpoints. Granting a visa or authorisation card is subject to a quota system. Furthermore, under Mexican labour provisions all workers, regardless of their origin, have the same rights. As to foreign workers, even if their migratory status is irregular, they still have the same labour rights. The Federal Labour Law establishes that at least 90 per cent of workers must be Mexican. In technical and professional positions, workers must be Mexican. If there are not workers within a specific specialisation, foreign professionals may be employed temporarily in a proportion below 10 per cent. These rules are not applicable for management positions. The applicable legislation regarding health and safety in Mexico are the Federal Labour Law and the Federal Regulations on Health and Safety in the Workplace. A number of official Mexican standards also exist to set rules in this matter. In relation to collective labour relationships, further regulations may be set in the relevant collective labour agreements. Labour regulations give the same rights to workers regardless of their sector of activity, origin or migratory status. There are certain kinds of workers who are considered to carry out ‘special work’, such as farmworkers (see question 24). In the case of farmworkers, further rights are provided in order to enhance their protection, covering health and safety matters addressed to prevent work risks. The employer is responsible for the health and safety standards of the workplace and the farmworkers shall be responsible for observing the related rules set forth in legal and workplace provisions, as well as in official Mexican standards. Health and safety regulations cover matters such as provision of drinkable water, sanitary services, training, medicines and medical supplies and assistance, medical check-ups, and a medical unit when there are more than 100 workers or a hospital when there are more than 300 workers (in this case, with the employees’ consent, the employer may establish an agreement with a nearby hospital, as opposed to constructing a hospital on-site). Compliance with these regulations is assessed by the Ministry of Labour and Social Services. Import and export are governed either by the Federal Law on Plant Health or the Federal Law on Animal Health, depending on the type of product. Plants, products and by-products and pathogenic agents that enter Mexico, which may be disease carriers, must comply with import and export requirements set out in the Federal Law on Plant Health. further requirements apply to genetically modified seeds, under the Law on Biosecurity of Genetically Modified Organisms. A key requirement for export is the issue of an international phytosanitary certificate, which is dependent upon compliance with the destination country’s health provisions. Living animals, animal products and biological agents, including GMOs, among other animal-related goods, must comply with import and export requirements set out in the Federal Law on Animal Health. in the case of products for animal use or consumption, the importer must also submit the product’s certificate of free sale in the country of origin. Specific zoosanitary requirements for import must be previously requested through the National Service of Food Health, Safety and Quality Assurance’s Consultation Unit of Zoosanitary Requirements for Import, or through a request for a zoosanitary requirements format. These requirements must be complied with before the issue of a zoosanitary certificate. on the applicant’s request, the Ministry of Agriculture will issue a certificate of free sale of products destined for animal use or consumption in Mexico. The Foreign Trade Law and the Customs Law, and their respective regulations, are the main statutes that regulate tariffs and non-tariff measures or barriers and apply to all types of products, including agricultural products. As a general rule, tariffs apply to the import and export of products in Mexico, except for any benefit framed in a free trade agreement (FTA) or any other agreement setting preferential tariffs or tariff exemptions (see question 29). Under this legislation, non-tariff measures can also be applied. These other non-tariff measures can be in the form of compensatory quotas, previous permits, maximum quotas, certifications, country of origin labelling, and any other adequate instrument. when dealing with situations not foreseen in official Mexican standards as to national security, public health, phytosanitary health or the environment. Moreover, some other technical barriers may be imposed, such as those of a phytosanitary and sanitary nature, and health and environmental measures. the Pacific Alliance (FTA with Colombia, Chile and Peru). Along with these FTAs, the other aforementioned types of agreements cover, to a greater or lesser extent, agricultural matters regarding import and export. Preferential tariffs or total exemption from tariffs may eventually apply under these FTAs and agreements. The legislation that governs plant variety rights is the Federal Law on Plant Varieties and its regulations. Under the Federal Law on Plant Varieties, to protect a plant variety, the following requirements must be met: novelty, distinctness, stability and uniformity. it must not be identical or confusingly similar to one previously protected under Mexican industrial property provisions. The National Service of Seeds Inspection and Certification processes applications for the granting of plant breeder certificates to protect plant variety rights. Review and approval of the application is made by the Assessment Board of Plant Varieties of the National Service of Seeds Inspection and Certification. The Board will examine whether the requirements of novelty and denomination, and the formal requirements for the application, have been met in full. A confirmation of filing will be issued. The Board then carries out a substantive examination of the distinctness, uniformity and stability of the variety. This leads to granting of the breeder’s certificate or rejection of the application. Following issue of a breeder’s certificate, the breeder has a full right to the corresponding plant variety right. If the application is refused, the confirmation of filing will cease to have effect. The applicant can challenge this rejection. The National Service of Seeds Inspection and Certification can grant a priority right to an applicant for a breeder’s certificate who has previously filed the same application abroad, in countries with which Mexico has a relevant convention or treaty. for any other species: 15 years. When these periods expire, the plant variety, and its use and exploitation, becomes public property. Note that animal breeds are not subject to protection under Mexican intellectual property provisions. use for human or animal consumption for the exclusive benefit of the person harvesting it. The farmer does not have to obtain the consent of the plant variety right owner or pay compensation to such owner. the foregoing does not constitute an infringement of patent rights. Under the Federal Law on Plant Varieties and its regulations, further restrictions to protected plant varieties may apply. In this line, the Ministry of Agriculture can grant an emergency licence to use the plant variety right. This will be issued in the public interest, when exploitation of a plant variety is considered essential to meet the basic needs of the population and there is a deficiency in supply or stock. The licensee can be the breeder or a third party through a public bid. Compensation is paid to the breeder. When the emergency licence expires, the owner will recover all his or her rights. Moreover, if a plant variety has not been exploited within three years from the date of issue of the breeder’s certificate, the Ministry of Agriculture can consider this as affecting the public interest, and grant a licence to use the protected plant variety. the National Water Commission, which acts as a regulator when, for example, national waters are used for agricultural purposes. In relation to agricultural production using GMOs, the Ministry of Agriculture may be involved through the National Service of Food Health, Safety and Quality Assurance with respect to notifications and permit procedures for confined use and release into the environment of GMOs. Other federal agencies may be involved in environmental matters to a lesser extent. Further, regulators at the state and municipal level may act in relation to sustainable agricultural production. The General Law of Ecological Equilibrium and Environmental Protection is the main statute in matters of pollution prevention, control and reduction in all sectors, including agriculture. Additionally, there are further regulations and official Mexican standards governing the activities that may contaminate both the water and atmosphere (air). Moreover, when dealing with national waters, pollution is additionally regulated by the National Water Law. Other regulations at the state and municipal level also apply. Liquid, semi-solid and solid waste management is foreseen in both the General Law of Ecological Equilibrium and Environmental Protection as the main statute in environmental matters and the General Law for the Prevention and Integrated Management of Waste, which considers waste derived from agricultural activities as special management waste. Additional regulations may be involved when specific circumstances are involved, such as the National Water Law, as well as official Mexican standards and situations in which state and municipal jurisdictions are competent to deal with waste management. The issuance of the new programme is expected to happen soon by President-elect Andrés Manuel López Obrador - see question 1. Even though major structural changes are not expected, the president elect has the agricultural primary sector as one of his core areas to develop in the country based on some actions surrounding topics such as, recovery of food sovereignty and the setting up of warranty prices for some agricultural products in favour of producers. Specific mechanisms to achieve the foregoing have not been announced so far. Furthermore, a new negotiation to update the North America Free Trade Agreement (NAFTA) between Mexico, Canada and the United States is in process. The agricultural sector of these three countries is one of the main topics in the negotiation. Specifically, Mexico’s agricultural sector has lost competitiveness in recent years, for which it is expected that the renegotiation of NAFTA includes some mechanisms to put Mexican primary sector in a competitive position. Although NAFTA’s negotiation has not been as time-efficient as expected, many experts have foreseen that negotiation may conclude before 1 December 2018, that is, before López Obrador takes office. 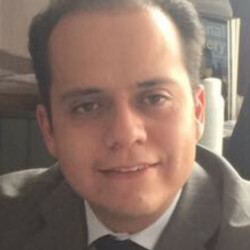 Zeind & Zeind is a Mexican law firm created in 2015 and based in Mexico City. Our Firm is composed of two partners, Alejandro Zeind and Antonio Zeind, who jointly accumulate more than 15 years of experience in both public and private sector (legal services industry).